Vote for the 2018 People’s Choice Award! 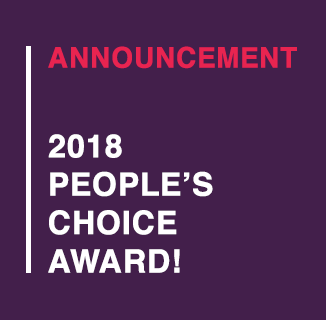 Cast your vote for the 2018 People’s Choice Award! Now it’s your turn! The People’s Choice Award is where the design community chooses to elevate and celebrate one project that represents the best of interaction design among this year’s shortlisted entries. Voting for the Interaction Awards People’s Choice is now officially open at http://bit.ly/2018IxDAwardsPeoplesChoice. We’ll announce this award on stage during the 2018 Interaction Awards on 8 February at Interaction18 in Lyon, France. 3. Vote! On each project page, you’ll find a “Vote for this submission” button. You may vote once for the project you wish to support. The project with the most votes as of 11:59 pm (Central European time) on 7 February wins! The recipient of the People’s Choice Award will be announced along with other winners at the Interaction Awards ceremony. Oh, and it includes a year’s worth of bragging rights. Spread the word and vote for your favorite projects!